Lots of medical marijuana news today, plus Pennsylvania has to pay out for a bogus drugged driving arrest that saw a man jailed for five months, and more. US Surgeon General Says Medical Marijuana Should Be Treated Like Other Drugs. Surgeon General Jerome Adams said last Friday that marijuana should be treated and studied like other pain relief drugs, but that he was opposed to recreational legalization. "Under medical marijuana, I believe it should be like any other drug," he said. "We need to let the FDA vet it, study it, vet it. The FDA has actually approved cannabidiol oil and some derivatives of marijuana, Marijuana is not one substance. It's actually over 100 different substances, some of which benefit, some of which are harmful." Arkansas Regulators Set Timeline. The Arkansas Medical Marijuana Commission announced last Friday that medical marijuana cultivation licenses would be issued in about three months, and dispensary licenses would be issued three months after that. The date for announcing cultivation licenses is February 27; a firm date for dispensary licenses isn't set yet. 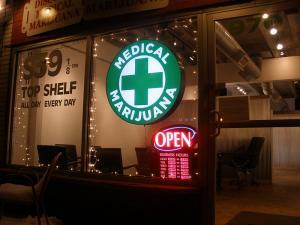 The commission anticipates medical marijuana on dispensary shelves by the middle of next year. Maryland Medical Marijuana Sales Begin. The first legal medical marijuana sale in the state took place last Friday, after years of delays. A handful of dispensaries have received shipments of medical marijuana, while others said they expected to come online soon. The state's first legal pot crop was grown this fall. Montana Medical Marijuana Providers, Patients Oppose New Regulations. At a hearing last Thursday at the Department of Public Health and Human Services, patients and providers complained that proposed regulations would place significant cost and time burdens on them. Among provisions criticized were high licensing fees and requirements for extensive product-safety testing. Ohio Gets Sued Over Commercial Grower Application Process. One day after the state announced its choices for a second batch of commercial cultivation licenses for medical marijuana, one of the losers in the process has filed a lawsuit challenging the scoring process for applications. The state law allowing medical marijuana sets a September 8, 2018 deadline for sales to begin, the timetable is already tight, and any further delays could put that date in doubt. Wisconsin Governor Signs Hemp Bill. Gov. Scott Walker (R) last Thursday signed into law a bill that allows farmers in the state to grow hemp. Under the bill, hemp plants can't contain more than 0.3% THC, and no one with a drug conviction can be a hemp farmer. Pennsylvania Pays $150,000 for Falsely Jailing Man as Suspected Drugged Driver. The State Police will pay $150,000 to a New York Hispanic man who was jailed for five months even though he passed Breathalyzer and field sobriety tests and subsequent blood testing showed no presence of alcohol or illegal drugs. Wilfredo Ramos sued for false imprisonment and false arrest. He lost his car, his job, and his apartment while sitting in the Lehigh County Jail for months even after test results came back. Australia Federal Government Gives Up on Welfare Drug Testing Scheme. Federal Social Services Minister Christian Porter confirmed Monday that he was removing drug testing of welfare recipients from the government's welfare reform bill in the face of stiff opposition from experts and elected officials. Porter said he didn't want to sacrifice the entire welfare piece to controversy over the drug testing provision. Swedish High Court Rejects Medical Necessity Defense for Growing Marijuana Plant. The Supreme Court has ruled against a man who grew marijuana to treat neuropathic pain from a motorcycle accident, as well as for anxiety and depression. The man had been acquitted of cultivation charges in August by a lower court, but an appellate court reinstated the conviction, and now the Supreme Court has echoed that decision. The court did suggest that the parliament could amend laws to allow for medical marijuana, and it went relatively lightly on the patient, fining him $616 and giving him no jail time. Washington state ponders allowing home marijuana cultivation, Michigan legalizers are drawing organized opposition, Ohio's medical marijuana program takes another step forward, and more. The Michigan legalization initiative is getting organized opposition, including from medical marijuana interests. Michigan Legalization Initiative Drawing Organized Opposition. At least two groups are gearing up to fight the legalization initiative that now looks very likely to qualify for the November 2018 ballot. One group, Healthy and Productive Michigan, is led by a Republican-connected political consultant and claims to represent business, faith, and law enforcement groups opposed to legalization. The other group, the Committee to Keep Pot Out of Neighborhoods, appears to have a purely pecuniary interest: It is funded by the Michigan Responsibility Council, a group of businessmen who want to get into the medical marijuana business. New Jersey Lawmaker Files Bill to Require Blood Samples of Suspected DUID Drivers. Assemblyman Anthony Bucco (R-Morris) has filed a bill that would require police officers to take blood samples from anyone arrested for drug-impaired driving. "This bill will be a useful tool for law enforcement in their efforts to prosecute and convict people who refuse to be tested and who are likely driving while impaired," Bucco said in a statement. "Driving under the influence of marijuana should be treated no differently than driving under the influence of alcohol." The move comes as a push for legalization is about to get underway in the legislature. Washington State Regulators Release Report on Home Grow Issues. The state Liquor and Cannabis Board released a report Wednesday on the potential costs and challenges associated with allowing personal marijuana cultivation. 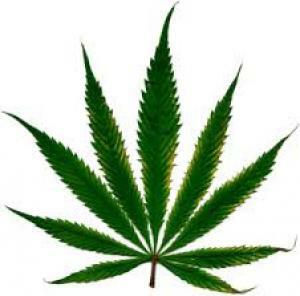 Washington is the only legal marijuana state that does not allow for home cultivation. The report doesn't make any recommendations, but includes a list of concerns lawmakers will need to address if they do try to change the law. Ohio Licenses Another Dozen Large Medical Marijuana Grow Ops. State regulators licensed a final 12 medical marijuana cultivators Wednesday. They licensed a first dozen cultivators earlier this year. Each of the large growers can grow up to 25,000 square feet. They now have nine months to get up and running, with sales set to begin in September. West Virginia Seeks Public Input on Opioid Policy. The state Department of Health and Human Resources Office of Drug Control Policy announced Thursday it had developed a plan to combat the opioid epidemic, but it is asking state residents to help develop the plan through public comment and recommendations through December 15. The office is also coordinating with a panel of public health experts from West Virginia University, Marshall University and Johns Hopkins University. Massachusetts Prosecutors Drop Another 6,000 Tainted Drug Cases. Local prosecutors have dropped more than 6,000 drug cases tainted by former state public chemist Sonja Frank. The move comes months after prosecutors dropped another 21,000 cases tainted by another state public chemist, Annie Dookhan. German Activist Petitions Will Force Bundestag Debate on Marijuana Legalization. A petition from the German Hemp Association has reached the required threshold of 50,000 signatures to trigger a debate in the Bundestag. That doesn't mean the Bundestag will legalize marijuana, but it does mean it will have to put the issue on its agenda.
. Scottish Parliamentarians Call for New Approaches to Stop Overdoses. Members of parliament from all five Scottish parties united to call on Scotland's Futures Forum, parliament's independent think tank, to come up with fresh policy solutions to stem a rising overdose toll. "Drugs and drugs policy is one of the biggest issues facing communities across Scotland," said Labor MP Neil Findlay. "None of the signatories to this letter has the answer but we are willing to say that whatever we are doing at the moment just isn't working." A new New York poll has support for marijuana legalization at 62%, Michigan Libertarians protest a roadside drug testing program, Alberta will let hotels allow pot smoking in guest rooms, and more. First Connecticut Gubernatorial Debate Tuesday Night Will Focus on Marijuana. The state's first debate of the 2018 gubernatorial campaign will focus on marijuana. The debate is being hosted by Connecticut NORML and the Yale Students for Sensible Drug Policy chapter. Democratic candidates Dan Drew and Jonathan Harris, Republican candidate Prasad Srinivasa, and independent candidate Micah Welintukonis will all be there. Nevada Gaming Policy Committee to Review Pot in Casinos. Beginning on Wednesday, the committee will begin reviewing whether there is some way the casino industry can find a way to coexist with legal marijuana businesses. The committee is not pondering whether to allow pot smoking among the slot machines, but whether casino properties could be used for marijuana-related business events. New Hampshire Marijuana Legalization Committee Meets for Third Time. A legislative committee studying the legalization, regulation, and taxation of marijuana met for the third time Monday. It heard from representatives of the state banking and agriculture departments, as well as from the Marijuana Policy Project. New York Poll Has Healthy Majority for Legalization. A poll commissioned by the Drug Policy Alliance and the Marijuana Policy Project has support for marijuana legalization at 62%, with only 28% opposed. Poll respondents also named legalizing marijuana as the most popular way of addressing the state's budget deficit, with 60% supporting that. Michigan Libertarians Protest Highway Drug Testing Program. A small group of Libertarians, including state US Senate candidate Brian Ellison, held up signs outside Michigan Stadium on Saturday morning protesting the newly inaugurated Preliminary Oral Fluid Analysis drug testing pilot program launched by the State Police. Under the program, officers can use a roadside mouth swab to test for the presence of controlled substances. "We just wanted to raise awareness," Ellison told the Michigan Daily. "It's unconstitutional, it's really a terrible program. You're forced to put something in your mouth on the side of the road. You don't have a choice. It's forced on you." Under the law, refusing to submit to the test is a civil infraction. Alberta Will Allow Hotel Owners to Okay Marijuana Use in Rooms. The province is set to become the first in Canada to allow consumption of marijuana outside the confines of a private residence, and the move could lead to a boom in pot tourism. "We recognize that not all Albertans would necessarily have a place to legally consume cannabis if we limited consumption to private residences, and we aren't yet in a position to license cannabis cafes or lounges as we need direction on edibles from our federal partners," Alberta Justice Minister Kathleen Ganley told the Marijuana Business Daily. California gets ready for legal marijuana, Michigan gets ready to put a legalization initiative on the ballot, a Georgia county pays bigtime for a raid on school students, Afghan opium production nearly doubles, and more. California Announces Emergency Licensing Regs for Legal Marijuana Commerce. The state's three marijuana licensing authorities announced Thursday that they have posted online proposed emergency licensing regulations for the era of legal marijuana commerce beginning January 1. The Bureau of Cannabis Control regulations are available here; the Department of Food and Agriculture regulations are available here; and the Department of Public Health regulations are available here. Michigan Initiative Campaign Has Signatures, Needs to Pay for Them. The campaign to put a legalization initiative on the November 2018 ballot said Wednesday it had gathered more than 360,000 raw signatures, well more than the 252,000 required by law, but that it needed to raise $30,000 to pay off a signature-collection firm before it can turn in the signatures. The campaign said it expected to be able to hand in signatures before Thanksgiving. San Francisco Won't Be Ready for Legal Pot Sales on January 1. Oh, irony of ironies, the city that was ground zero for the marijuana reform movement won't be ready to allow marijuana sales on January 1, when legal sales begin statewide. In a Tuesday meeting, the Board of Supervisors failed to agree on regulations governing sales, postponing further discussion of the rules until November 28, and virtually ensuring that rules will not be in place by January 1. Kentucky Secretary of State Forms Panel to Write Medical Marijuana Bill. Secretary of State Alison Grimes (D) said Wednesday that she is putting together a panel to write a bill that would legalize medical marijuana in the state. The panel will include doctors, nurses, military veterans, medical marijuana advocates, and law enforcement. The aim is to have a bill ready for the 2018 legislative session. Montana Released New Proposed Rules for Medical Marijuana Industry. The state Health Department Thursday released a pack of of proposed rules for the medical marijuana industry, which will be the subject of a public hearing later this month. The rules cover regulation of areas such as employment, product testing and tracking, security, and fees. Department of Transportation Adds Opioids to Truck Driver Drug Testing Panel. The DOT issued a final rule Monday that will expand its drug testing panel for DOT-regulated industries to include hydrocodone, hydromorphone, oxymorphone, and oxycodone. The agency said the move was "a direct effort to enhance safety, prevent opioid abuse and combat the nation's growing opioid epidemic." The rule goes into effect on January 1. Georgia County to Pay $3 Million to Students in School-Wide Drug Search. Worth County, Georgia, has agreed to pay $3 million to settle a lawsuit brought on behalf of students who were subjected to a school-wide lockdown during a drug sweep in April. Each Worth County High School Student will receive between $1,000 and $6,000, with the higher amounts going to students who suffered more invasive violations. "This settlement is a victory for the hundreds of Worth County students whose constitutional rights were violated," Mark Begnaud, an attorney for one of the students, told UPI. Afghan Opium Output Nearly Doubled This Year. Opium production in Afghanistan hit a record level of nearly 10,000 tons this year, up 87% from last year. The area under poppy cultivation also increased, up 63% over last year. The figures are coming from the Afghan Ministry of Counter Narcotics and the UN Office on Drugs and Crime. "It is high time for the international community and Afghanistan to reprioritize drug control, and to acknowledge that every nation has a shared responsibility for this global problem," UNODC Executive Director Yury Fedotov said in a statement. Maine's governor vetoes the marijuana regulation bill, but the legislature will attempt an override today; a plan for a safe injection site in Denver advances, a Michigan roadside drug testing pilot program gets underway this week, and more. Maine Governor Vetoes Bill to Regulate Legal Marijuana Production, Sales. Gov. Paul LePage last Friday vetoed the bill that would regulate legal marijuana commerce in the state. In his veto message, he cited a number of concerns, including how the Trump administration is going to deal with the conflict between state and federal law. "Until I clearly understand how the federal government intends to treat states that seek to legalize marijuana, I cannot in good conscience support any scheme in state law to implement expansion of legal marijuana in Maine," the governor explained. Maine Lawmakers Meet Today to Try to Override Governor's Veto. The legislature is set to meet at 4:00pm today in a bid to override Gov. LePage's veto of the marijuana regulation bill. The bill passed the Senate, but not the House, by a veto-proof majority earlier this year. Ohio Announces First Licensees for Medical Marijuana Production. State officials announced last Friday they had issued 11 Level II medical marijuana licenses. The licenses will allow holders to begin medical marijuana growing operations. Michigan Roadside Drug Testing Pilot Program Begins This Week. Michigan State Police are set to begin a pilot program in five counties to do roadside oral fluid drug tests of drivers in a bid to reduce drugged driving. The counties included are Berrien, Delta, Kent, St. Clair and Washtenaw. Under the program, officers trained in "drug recognition" will be able to require drivers to submit to a preliminary saliva test if they suspect he is impaired. The tests will look for the presence of marijuana, amphetamines, methamphetamines, benzodiazepines, cocaine and opiates. Walgreen's to Carry Opioid Overdose Reversal Drug, No Prescription Needed. Walgreen's drugstores will soon stock the opioid overdose reversal drug naloxone (Narcan) at its thousands of locations across the US, and it will be available over the counter, no prescription needed. Walgreen's is the nation's second largest drugstore chain with more than 8,000 stores. "By stocking Narcan in all our pharmacies, we are making it easier for families and caregivers to help their loved ones by having it on hand in case it is needed," Walgreen's vice president Rick Gates said in a statement. "As a pharmacy, we are committed to making Narcan more accessible in the communities we serve." Denver Starts Down Path Toward Safe Injection Sites. Seattle and San Francisco are the US cities closest to opening safe injection sites for drug users, but now Denver is making a move in the same direction. A legislative committee last week gave unanimous approval to a plan to open a pilot site in the city. But that's just a first step: The next step is to get the legislation through the General Assembly when the legislature convenes in January. Colombia, UNODC Sign Cooperation Agreement on Coca and Cocaine. In a deal announced last Friday, Colombia and the UN Office on Drugs and Crime (UNODC) have agreed to cooperate on the county's coca reduction strategy. Under the deal, the UNODC will help Colombia implement "alternative and sustainable development programs in areas affected by coca cultivation," according to a press release from the Colombian presidency. The plan is estimated to require $315 million in funding over the next four years. The question is whether Colombia has the political will to come up with the money. The body representing state legislatures again calls for marijuana reforms, Vermont's governor is about to empanel on commission to study legalization issues, a safe injection site has been operating secretly in a US city for the past three years, and more. National Conference of State Legislatures Urges De-Scheduling Marijuana. The National Conference of State Legislatures has approved a resolution calling for marijuana to be removed from the Controlled Substances Act. The resolution approved on Monday specifically references access to banking, saying such a move would result in "… enabling financial institutions the ability to provide banking services to cannabis related businesses." This marks the third year in a row the conference has passed a resolution on marijuana, going a bit further each time. In 2015, it resolved that federal laws should be amended to allow states to set their own pot policies, and last year, it resolved that marijuana should be down-scheduled. Vermont Governor About to Convene "Blue Ribbon Commission" on Legalization. Gov. Phil Scott (R) says he will shortly convene a commission to study issues around marijuana legalization, but it looks like his emphasis will be on how to detect marijuana impairment in drivers rather than examining models for legalization. Earlier this year, Scott vetoed a legalization bill, citing concerns about driving and youth, and he says now that he will not sign a bill that doesn't have stringent standards on impaired driving. Virginia Gubernatorial Candidates Split on Decriminalization. Democratic nominee Lt. Gov. Ralph Northam sent a letter Monday to the State Crime Commission, which is studying decriminalization, in support of the notion. That position contrasts with Republican nominee Ed Gillespie, who says he opposes legalization or decriminalization, but is open to exploring reforms to ensure that penalties are commensurate with the offense committed. Polling shows a majority of Virginians favor decrim. Libertarian candidate Cliff Hyra, meanwhile, says just tax and legalize it. Indiana Republican Will File Medical Marijuana Bill to Fight Opioid Overdoses. State Rep. Jim Lucas (R-Seymour) says he plans to file a medical marijuana bill in a bid to combat opioid abuse. He said he was acting after hearing from constituents. "People telling me their personal stories, how they've been helped by this product, how far behind Indiana is on this issue," he told the Indianapolis Star. "That right there, we have a responsibility to at least investigate it and determine the facts, and if there is something positive out there, we have to pursue that." Arizona Asset Forfeiture Reforms Go Into Effect Wednesday. A new law limiting civil asset forfeiture reform goes into effect Wednesday. House Bill 2477 does not end civil asset forfeiture, but raises the standard of proof necessary for seizures from "a preponderance of the evidence" to "clear and convincing evidence." Underground Safe Injection Site Has Been Operating in a US City for Three Years. In a report released Tuesday, two researchers revealed that they've been studying an unpermitted safe injection site in operation since 2014. They reported that no one died while using drugs at the site and that two overdoses were reversed by staff members administering naloxone. The report comes as pressure to authorize such sites is mounting, with lawmakers in states like California and New York and cities including San Francisco, Seattle, and Ithaca, New York, backing such efforts. A Senate panel has approved an amendment barring the DOJ from going after medical marijuana states, criminal justice reform groups want close scrutiny of US Attorney nominees, a federal appeals court reinstates a lawsuit over a SWAT raid that turned up only tomatoes and tea leaves, and more. A Kansas SWAT team looking for a pot grow raided a couple who were only growing tomatoes. Now, their lawsuit can proceed. Senate Panel Approves Amendment Defunding DOJ Medical Marijuana Enforcement. The Senate Appropriations Committee voted Thursday to approve an amendment that would block the Justice Department from spending any funds to go after medical marijuana in states where it is legal. The amendment, which passed with strong Republican support, is a striking rebuke to Attorney General Jeff Sessions, who had personally requested that Congress kill the amendment. A House committee yesterday killed a similar amendment, but if the Senate amendment stays in the appropriations bill, it could be the basis for conference committee negotiations later. Nevada Supreme Court Upholds Medical Marijuana Registry. In a Tuesday decision, the state Supreme Court unanimously upheld the constitutionality of the state's medical marijuana registry. The program had been challenged by a John Doe lawsuit, which complained that the registry and associated fees violated his due process rights. The lawsuit was rejected by lower state courts, and now the state's highest court has agreed. Reform Groups Call on Senate to Closely Scrutinize Trump's US Attorney Nominees. A number of criminal justice reform groups on both the left and the right are calling on Senate Judiciary Chairman Sen. Chuck Grassley (R-IA) to have committee members actually question nominees, whether at hearings or in writing. The groups, which include Families Against Mandatory Minimums, Right on Crime, and the American Conservative Union, want nominees' positions on key issues such as asset forfeiture, sentencing policy, and respecting the authority of states to be made clear. "In view of the recent policies announced by the Department of Justice (DOJ), it is even more important that the Senate understand each nominee's views of the proper role government attorneys play in seeking justice rather than merely 'winning' the cases they bring," the groups wrote. The coalition made an initial request to Grassley in March, but got no response. 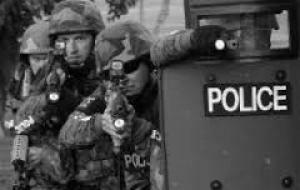 Federal Appeals Court Reinstates Lawsuit Against Kansas Cops Who Led SWAT Raid Against Couple Growing Tomatoes. In a blistering decision, the 10th US Circuit Court of Appeals reinstated a lawsuit filed by a suburban Kansas City couple after a SWAT-style raid based on the couple's visit to a garden supply shop and a faulty field drug test that said tea leaves in their trash were marijuana. There was no marijuana. The family sued the Johnson County Sheriff's Office after the 2012 raid. A federal judge dismissed the lawsuit in 2015, but now the 10th Circuit has overruled him. Congress is dealing with medical marijuana and drug policy issues, legalization advocates call on New Hampshire's governor to kill a marijuana study commission bill, Rhode Island's governor issues an executive order dealing with the state's opioid crisis, and more. Alaska's Largest City Wants Social Consumption at Pot Shops. The Anchorage Assembly on Tuesday urged the state Marijuana Control Board to allow tourists and locals to smoke or otherwise consume marijuana at retail stores. The move comes as the board is set to meet in Fairbank later this week. The board is expected to examine several proposals related to consumption in pot shops at that meeting. Montana Man Challenges State's Standard for Marijuana DUIs. A Billings man facing a vehicular manslaughter charge for an accident while he was allegedly under the influence of marijuana is challenging the state's de jure standard of 5 nanograms of THC per milliliter of blood. Kent Roderick Jensen and his attorney argue that the standard is arbitrary and the charge should be dismissed. "There is no science to back up the 5 ng/mL level as a level that indicates impairment in a sizable enough portion of users to make it a standard for everyone," his attorney wrote in a motion seeking dismissal. The judge in the case has heard oral arguments and received written briefs, but has yet to make a decision. New Hampshire Governor Should Veto Marijuana Study Commission, Reform Advocates Say. Advocates sent a letter to Gov. Chris Sununu (R) asking him to veto House Bill 215, a bill that would create a study commission to consider marijuana legalization and regulation. The letter, which was signed by leading advocates including the bill's prime sponsor, Rep. Renny Cushing (D-Hampton), notes that, "The commission envisioned by the final bill includes numerous vocal opponents, such as the Association of Chiefs of Police and New Futures, but it does not include any known supporters." The House version of the bill included a representative of the American Civil Liberties Union of New Hampshire and a representative from the Marijuana Policy Project, which would have added some balance to the commission, but the Senate removed those prospective members from the bill. Wisconsin Lawmaker Files Legalization Bill. Rep. Melissa Sargent (D-Madison) on Thursday announced she would file a marijuana legalization bill. There are no details on it yet. This would be the fourth time she has filed a similar bill. US Senate Panel Approves Medical Marijuana for Veterans. The Senate Appropriations Committee voted on Thursday to adopt an amendment that would allow military veterans to get medical marijuana recommendations through the Department of Veterans Affairs. The bipartisan measure picked up four more votes than last year in the committee. Then, it was approved by the full House, but killed in conference committee. Rhode Island Governor Signs Executive Order Dealing With Opioid Crisis. Gov. Gina Raimondo (D) was joined by White House acting drug czar Richard Baum on Thursday as she signed an executive order aimed at curbing the "alarming rate of deaths" due to opioid overdoses. The 18-point order includes directives calling for a family task force on impacts of opioid use, expanded access to "sober" homes for people in recovery, and the creation of diversion programs to keep people out of the criminal justice system, among others. House Judiciary Committee Approves Bill that Gives Attorney General Sessions Unchecked Power to Ban New Drugs and Set Criminal Penalties. The committee on Wednesday advanced legislation that greatly expands the penalties for new drugs and gives Attorney General Sessions unilateral new powers to schedule drugs. Opponents warned that the legislation is a counterproductive approach to the opioid crisis that will exacerbate mass incarceration and enable Attorney General Sessions to ban hundreds of substances and prosecute people with long federal prison terms in violation of the new drug laws. The measure is House Resolution 2851, the "Stop the Importation and Trafficking of Synthetic Analogues Act of 2017," or "SITSA." Colombia's Coca Crop Substitution Program Faces Same Old Obstacles, Report Finds. A new report from the Colombian Ideas for Peace Foundation casts doubt on the government's ability to eradicate 250,000 acres of coca plantings, saying a vacuum left by the demobilization of leftist FARC guerrillas has not been filled by the state, but is instead being filled by illegal armed drug trafficking groups and paramilitary formations. That means the state is not providing adequate security measures and sustainable alternatives in areas historically hit hardest by decades of armed conflict. In states where marijuana has been legalized, traffic stops resulting in searches by state police are down dramatically, according to a new analysis from the Marshall Project and the Center for Investigative Reporting. With marijuana possession being legal, police in legal states can no longer assume criminal activity merely because of the presence of pot, which would have given them probable cause to conduct a search. And that means fewer interactions between drivers and police, reducing the prospect of dangerous -- or even deadly -- clashes. But even though the number of searches dropped for all racial groups, black and brown drivers are still being subjected to searches at a higher rate than whites, the study found. And because the report only studied state police (Highway Patrol) stops, not stops by local law enforcement, which patrols urban areas with higher minority population concentrations, it may understate the racial disparity in traffic stop searches. The report is based on an analysis of data from researchers at Stanford University, who released a report this week studying some 60 million state patrol stops in 31 states between 2011 and 2015, the most thorough look yet at national traffic stop data. The results from the legal pot states of Colorado and Washington are striking. In Colorado, the number of traffic stop searches dropped by nearly two-thirds for whites, 58% for Hispanics, and nearly half for blacks. In Washington, the search rate dropped by about 25% for whites and Hispanics, and 34% for African-Americans. Still, racial disparities in search rates persisted in both states. In Colorado, the search rate for black drivers was 3.3 times that for whites, and the rate for Hispanic drivers was 2.7 times that for whites. In Washington, blacks were twice as likely to be searched as whites, while the search rate for Hispanics was 1.7 times that of whites. 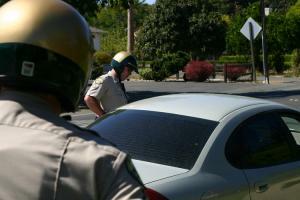 The traffic stop search data parallels what happened with marijuana arrests in legal states. In Colorado, for instance, a 2016 Department of Public Safety report found that while the number of pot arrests dropped by nearly half after legalization, the arrest rate for blacks was still nearly three times that of whites. "Legalizing marijuana is not going to solve racial disparities," said Mark Silverstein, legal director of the American Civil Liberties Union of Colorado. "We need to do a lot more before we get at that." But legalizing marijuana does reduce the number of traffic stop searches, and given the fraught relationship between police and the citizenry, especially communities of color, that is a good thing in itself. After marijuana legalization comes up short this year, Vermont and Rhode Island will both have study commissions to examine the issue, Nevada's governor finds a way to get recreational sales going next week, Cuba says no to legal weed, and more. Massachusetts Legislature Names Conference Committee to Hammer Out Differences on Marijuana Bill. Legislative leaders on Friday named a six-member House-Senate conference committee to try to come up with a compromise bill to implement voter-approved marijuana legalization after the House formally rejected the Senate's version of the bill. The House version had higher taxes and allowed localities to ban pot businesses without a popular vote; the Senate version didn't. Nevada Governor Signs Executive Order to Let Recreational Sales Begin July 1. Gov. Brian Sandoval (R) has signed an executive order creating an emergency regulation that will allow the state to issue recreational retail licenses next week even if it doesn't approve the distribution licenses caught up in a court battle. Under the emergency regulations, medical marijuana dispensaries could sell surplus product for recreational use effective July 1. Rhode Island Gives Up on Legal Marijuana This Year, Will Create Study Commission Instead. Both the House and the Senate have now passed bills that would set up a 19-member joint legislative commission to study the effect of legalizing marijuana. The House already approved identical legislation, so only a final concurrence vote on Senate Bill 277A in the House remains. Vermont Governor Will Appoint Commission to Study Legal Marijuana. Just a day after House Republicans blocked a last-ditch effort to get marijuana legalization passed this year, Gov. Phil Scott (R) announced Thursday he will appoint a commission to study legalization in the state. Last month, Scott vetoed a legalization bill that had passed both chambers, saying he had public safety concerns. A revamped bill addressing those concerns got through the Senate, but was snuffed out when the House refused to waive rules to allow a vote on it. Cuba Says Marijuana Legalization is Fueling Drug Trafficking. The secretary of the Cuban National Drugs Commission said Friday that it will not follow the regional trend toward the liberalization of marijuana laws and that that trend is fueling drug trafficking. "Cuba is facing a very difficult situation at the moment with regards to drug trafficking," Antonio Israel Ibarra said at a news conference. "Firstly because in Latin America and the Caribbean, there is a group of countries trying to legalize, or that has legalized, the use of marijuana. We have not legalized it, nor will we."